System comes with a 3.5" Clam-Shell monitor with dual camera capabilities. High Quality Color Camera has a 130? field of view, 420 lines of resolution and .05 Lux . 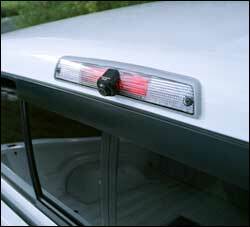 Which allows you to see at night with only you taillights for assistance. Comes with a standard 20' cable. We have optional 60' lengths in stock. The Straight Shot Cam mounts easily to your tail gate. 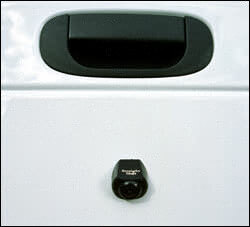 With one hole in the tail gate to conceal and protect the wire, it gives a clean and professional look. The black camera color matches any truck. 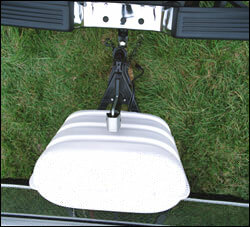 The Straight Shot tailgate mounted camera gives you the perfect view of where you are in relation to the trailer hitch. You will be able to back up to the trailer hitch the first time with precision. The Straight Shot Cam mounts easily to your cab. 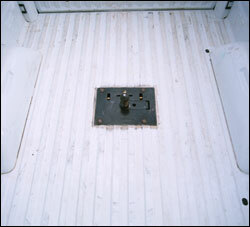 With one hole in cab brake light to conceal and protect the wire, it gives a clean and professional look. 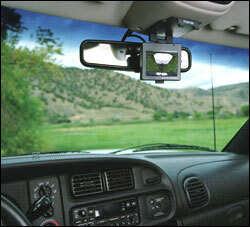 The Straight Shot cab mounted camera gives birds eye view of your truck bed mounted ball. 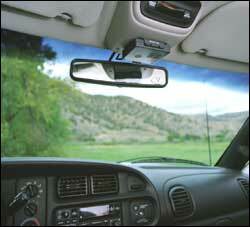 The Straight Shot In-Cab Monitor, mounts easily to your interior. You can flip it up for easy storage, and down to use. Specially designed for pick-up trucks where compact size is a must. This awesome product will make your trailer hook-ups fast, easy and more. The black color matches all interiors.